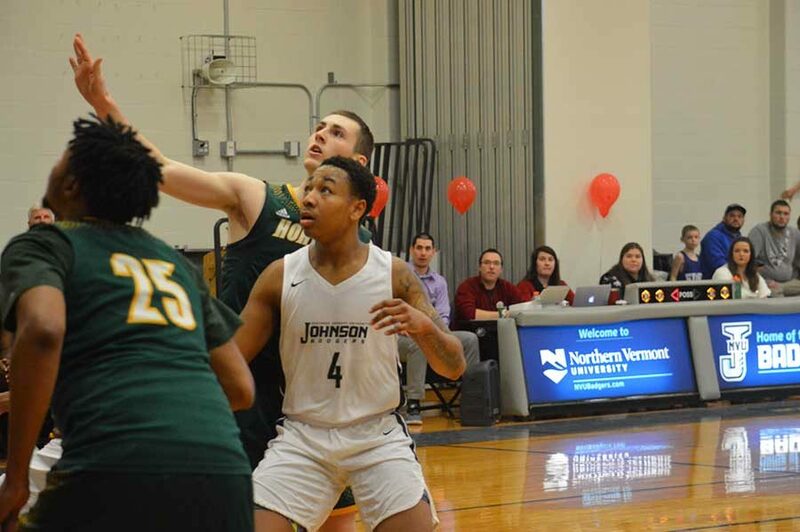 Yet another innovation sparked by the creation of Northern Vermont University is the President’s Cup challenge, which is now at the halfway point in the yearly competition between the NVU Johnson and Lyndon athletic programs. The Johnson campus is currently in the lead at four points to two. The President’s Cup was an idea introduced by NVU to establish a friendly rivalry between the two campuses in conjunction with the merger that took place on July 1, 2018. Both campuses go head-to-head at least once in 13 different sports. Whoever wins the season series in that sport will earn one point for the Cup. If a sport ties the season series, each program will earn half a point. With that, there are sports that are offered at the Lyndon campus that are not offered at the Johnson campus and vice versa. So Johnson men’s volleyball team and golf team will battle against the Lyndon men’s baseball team and Lyndon women’s lacrosse will battle against Johnson women’s triathlon for a total of two points in the competition. The point for each team or teams will be awarded to the side that has the better season. The most recent battle for the President’s Cup took place at the Johnson campus on Jan. 19 when both the men and women’s basketball teams met up for the first time in the competition. The men’s basketball teams played first in the doubleheader. The game was close all the way throughout with each side trading baskets. With fewer than three seconds remaining, Johnson’s senior point guard Vernon Slater hit a tough basket to give the Badgers the win. For the women’s side, Lyndon started strong early in the first quarter, leading 20 to 10. The Badgers were able to pull it close to end the half, trailing by four. Eventually, the Hornets pulled away in the second half, winning by a score of 71 to 61. Carter Gym was filled with both Johnson and Lyndon faculty, staff, and students. Michele Whitmore, associate dean of students, was impressed with the scene at both games. Slater noticed the great environment as well. Jamey Ventura, associate dean of athletics, sees a basic understanding for the competition between the two campuses and hopes that the fever for the Cup continues to grow. For more information and to keep track of the current standing, visit nvubadgers.com/Presidents_Cup_Challenge.